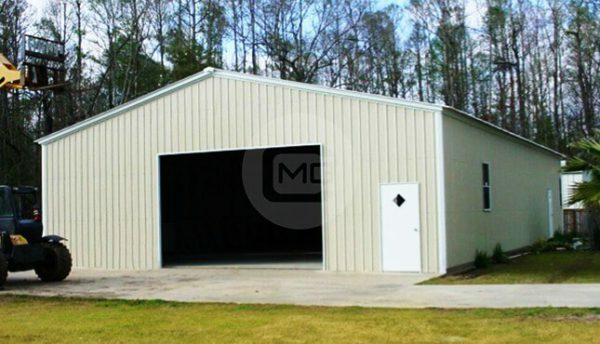 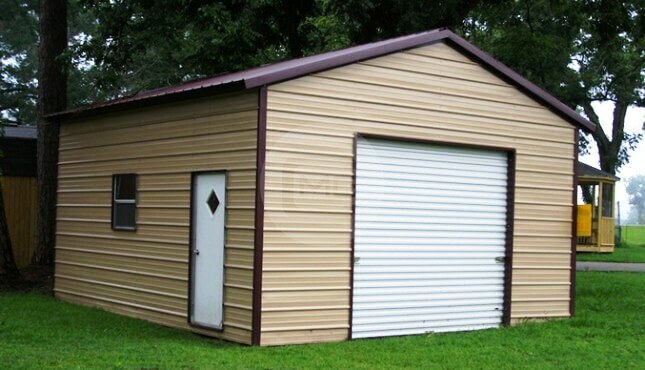 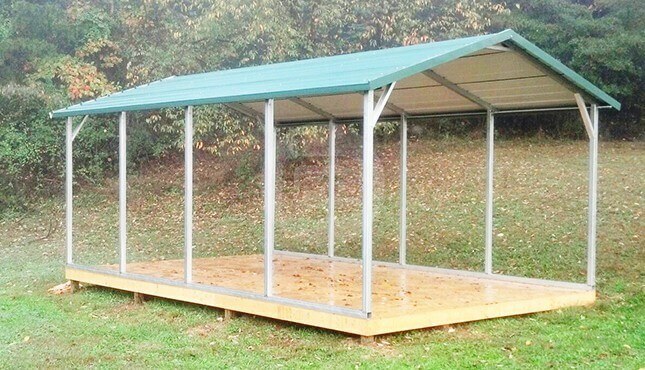 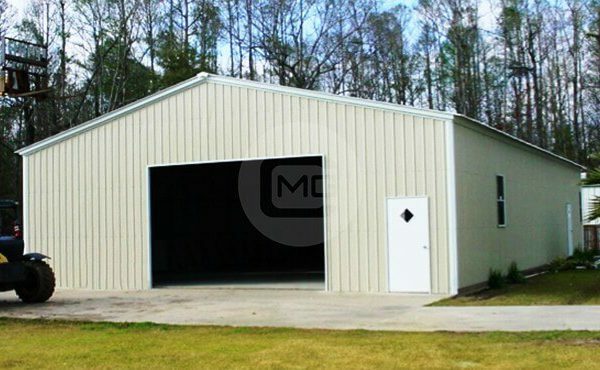 This 32x52x12′ large custom metal garage is designed with plenty of space for your vehicle, outdoor equipment, tractors, and more with room to spare for a roomy work area. 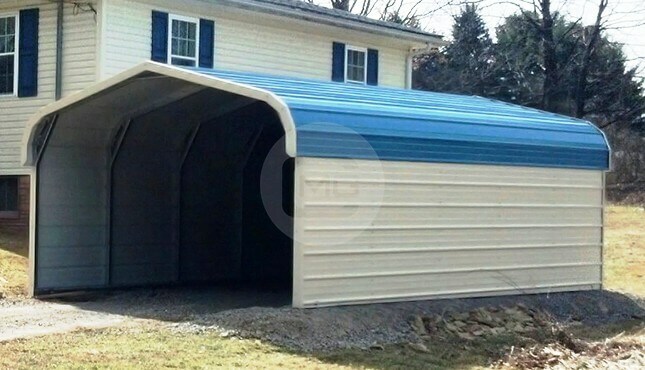 It also features multiple entrances for convenience. 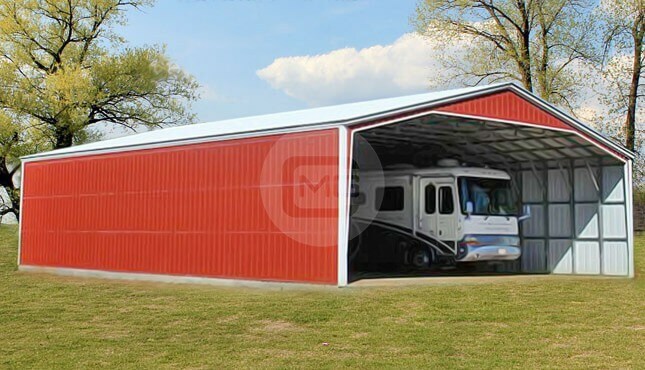 The front side has a 10×10′ roll-up garage door and a walk-in door. 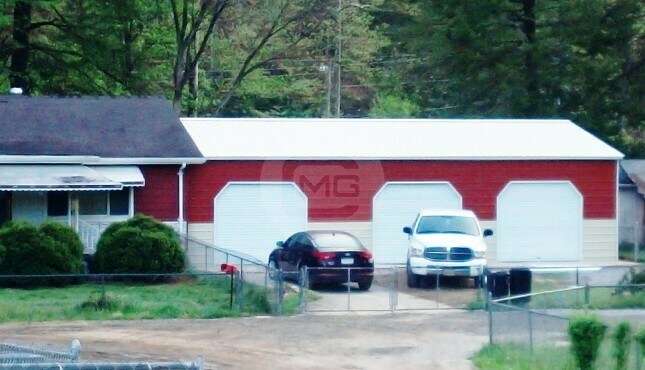 There is a second walk-in door on the right side along with a window for natural light. 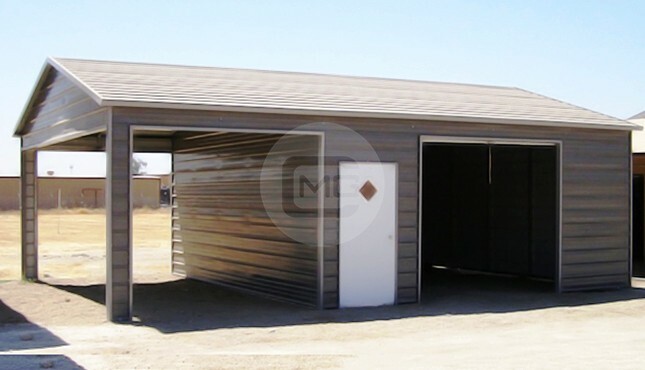 This fully enclosed 14-gauge steel garage has vertical side panels and a vertical roof style, so if you live in an area that is prone to heavy winds or snow loads, it is designed to withstand the harsh elements in your location.